A) Brighthouse Networks, the local cable provider, is a joke. This company STILL does not carry the local FSN affiliate down here in Florida. Why is this the first point I'm making? Well, the Orlando Magic, the only franchise of the "Big 4" that Orlando is home to, plays the majority of their games on FSN. Just a short drive down I-4 you have the closest Major League baseball franchise that also plays the majority of their games on FSN. Here in Central Florida, we get a game, maybe two, each week that are aired on ION which has some of the worst feed quality I've ever seen. I'm currently watching the Rays on WGN vs. the Cubbies. One thing I hate is listening to the opposing team's broadcast. B) I almost took the broadcast duo of Drew Goodman and George Frazier on FSN-Rocky Mountain for granted. Those are two of the best in the game and I'm just glad I appreciated it while I had it. Sorry, Tampa... your guys are as big of jokes as Brighthouse. 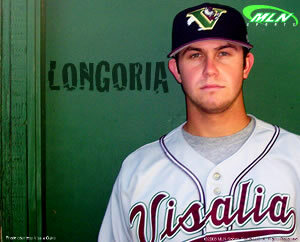 C) Evan Longoria is ridiculous. It's nice to be able to watch another young infielder while Tulo is on the DL. Wax Breaker is Back Online!